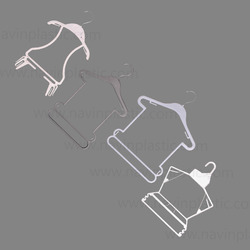 Clients can also opt for our heavy Plastic Frame Hangers that are used to hang many clothes. These are highly durable and easy to handle. We offer plenty of color options for this product to choose from. 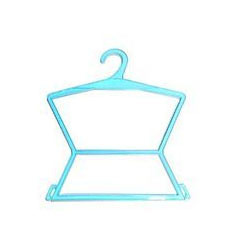 Highly usable for general purpose, these hangers are available at competitive prices. Description:Made up of SG Iron. We offer Frame Hangers. These hangers are used for kids clothes for frocks, baby suits, etc.These products are appreciated for their high strength, corrosion resistance and longer functional life. With the valuable assistance of skilled team of professionals, we are engaged in offering an extensive range of high-quality Photo Frame Sawtooth Hangers. Weather proof in nature, these Plastic Frames Hangers are offered to consumers in many sizes and shapes. Best in finishing, these frames are reliable and crack resistant in frame. Offered hangers are small in size and light in weight. Besides this, all supplied hangers are easy to use with any sized cloth. Plastic Frame Hanger with Metal Hook 5001 - 10", 5002 - 12", 5003 - 13", 5004 - 16"